Fibromyalgia causes chronic pain, muscle tenderness, and fatigue. This pain can make daily activities and exercise seem impossible. However, research has shown that regular exercise for people with fibromyalgia can actually improve pain, thus increasing overall quality of life. Exercise can also help to reduce the anxiety and depression that may also be present for fibromyalgia sufferers. Knowing which exercises to begin with is helpful, and starting with shorter sessions can help you ease into a regular exercise routine. Even beginning with a two-minute walk to the mailbox and back is a great start. Walking – Going out for a short walk is a great low-impact aerobic activity that can help to ease muscle pain and decrease stiffness. Swimming – Pool-based exercise can reduce the stress on your joints. Yoga/stretching – Yoga or gentle stretching can help you to relax and maintain good posture. Light weightlifting – Strength training can reduce the pain of fibromyalgia and increase overall health and wellbeing. 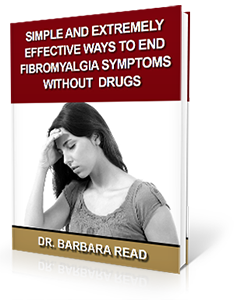 There is no known medical cure for fibromyalgia. The most common treatment recommendations can include getting regular exercise in addition to taking a combination of medications to address symptoms. As fibromyalgia is increasingly becoming better understood, much research points to the fact that people with fibromyalgia sense pain differently than those without the diagnosis. This is where upper cervical chiropractic seeks to address fibromyalgia at its root cause. Your body’s central nervous system (CNS), made up of your brain and spinal cord, is responsible for sending and receiving signals that govern all of your body’s functions, including sensing and appropriately responding to pain. A misalignment of the atlas vertebra, the topmost one in the spine, can put pressure on the brainstem, a critical area of the CNS, and prevent pain signals from being properly received and interpreted. This can ultimately lead to symptoms of fibromyalgia. At Read Health Center, we analyze the upper neck for specific atlas misalignments that are affecting the way your brain and body are able to communicate. After restoring upper cervical alignment back to normal, the body is able to heal naturally, which can lead to a reduction or even complete resolution of fibromyalgia symptoms.